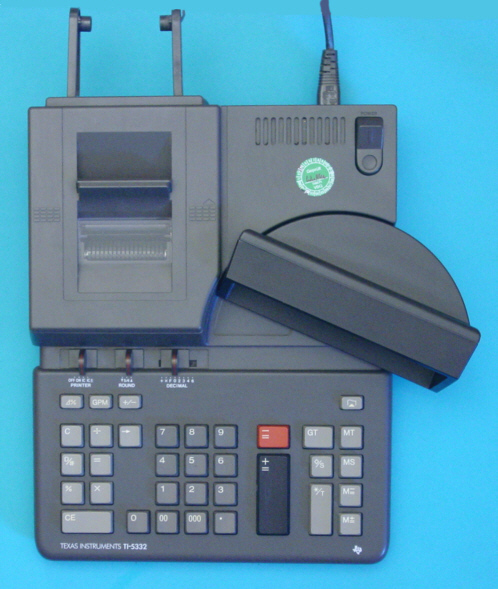 Texas Instruments introduced in 1989 with the TI-5332 and its sibbling TI-5322 two heavy-duty desktop printer / display calculators. Main differences between the two calculators is the 12-digit display. While the TI-5322 sports a traditional design, introduced the TI-5332 a novel, tiltable display for a more convenient reading position in POS applications. © Joerg Woerner, July 7, 2009. No reprints without written permission.